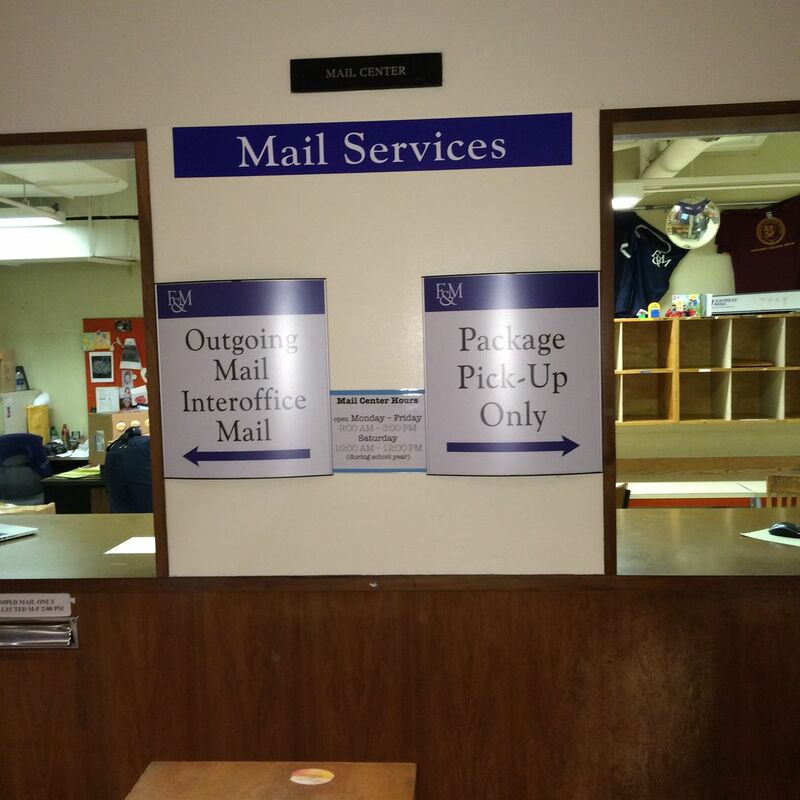 Franklin and Marshall College Mail Services is here to provide mailing services to the Franklin and Marshall Community. We are located in the Steinman College Center. on the Ground Floor. Mail Services is open year round - 9:00 a.m. to 4:00 p.m. Monday through Friday. You can contact the Mail Center at 717-358-4092. What address should I use to receive a package? My parents want to send me a card - what is my box #? Can I send a package overnight from Mail Services? Does Mail Services take credit cards? The Franklin & Marshall College Warehouse accepts all deliveries to campus from Fed Ex, UPS, and commercial Freight Carriers. The packages are scanned and then sorted into two groups: Student packages and Departmental packages. 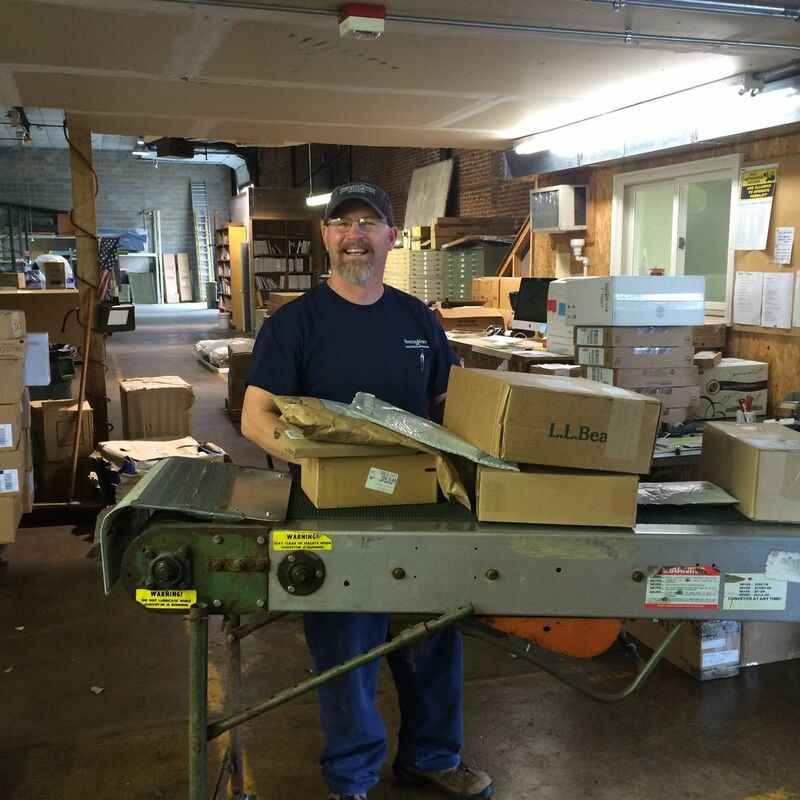 Student packages are taken to Mail Services for distribution. Our scanning system will send an e-mail to faculty and Professional Staff of a package pending delivery. The Departmental packages are loaded onto a delivery truck and delivered to campus the afternoon they arrive. Facilities Services Bldg - 415 Harrisburg Ave. Packages may be picked up after Noon by checking in first at the Service Response Center. * Please remember that the College Warehouse is for College packages only. No personal packages should be shipped to the College.